Rubblebucket, Lawrence, Steve Perry and more coming up this week on ‘World Cafe.’ Listen Monday-Friday at 11pm on KXT. Celebrate the holidays this week with ‘World Cafe’, featuring interviews and performances by JD McPherson from his new holiday album ‘SOCKS’, Old 97s, Brandi Carlile, and more! This week on ‘World Cafe’, enjoy the sweet sounds of the collaborative project of Lucy Dacus, Phoebe Bridgers and Julien Baker — boygenius. Plus Death Cab for Cutie and more, all this week at 11pm! Join host Talia Schlanger this week on ‘World Cafe’, featuring Fantastic Negrito, Courtney Marie Andrews, Kurt Vile and more! Coming up this week on World Cafe: Anna St. Louis, The MC5’s Wayne Kramer, and an interview with Doe Paoro. Tune in weeknights at 11pm to hear it all! Celebrate the 50th anniversary of The Beatles’ ‘The White Album,’ this week on ‘World Cafe’. Every Monday-Friday at 11pm on KXT. This week on ‘World Cafe’: Listen back to David Byrne tell stories about ‘American Utopia’, hear what Rage Against the Machine’s Tom Morello is up to now, and much more! 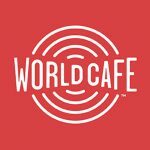 ‘World Cafe’ visits Edinburgh, Scotland to speak with KT Tunstall this week. Tune in to hear this and much more, weekdays at 11pm.